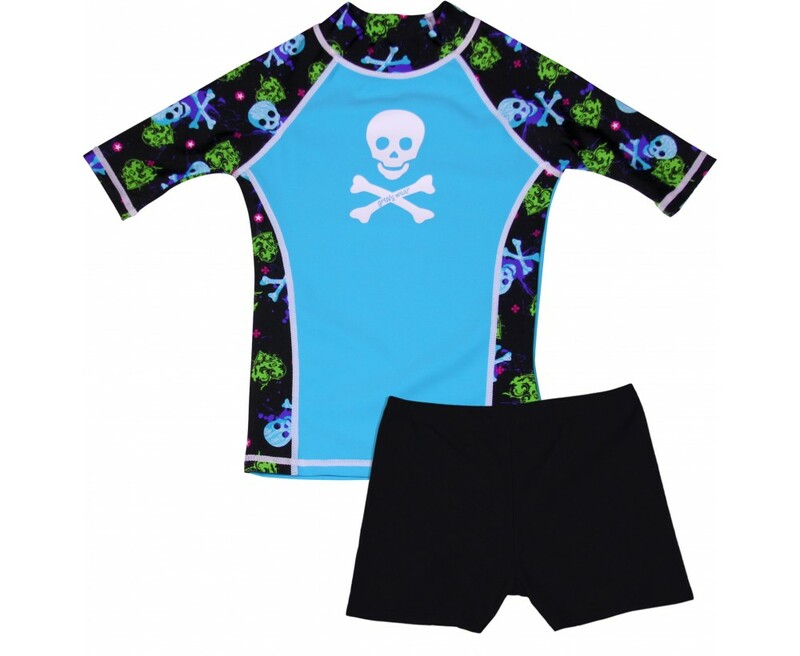 She may want to be "bad to the bone" but at least she will be protected from the sun's harmful UV rays in our popular 2 piece skull and crossbone shorts set. 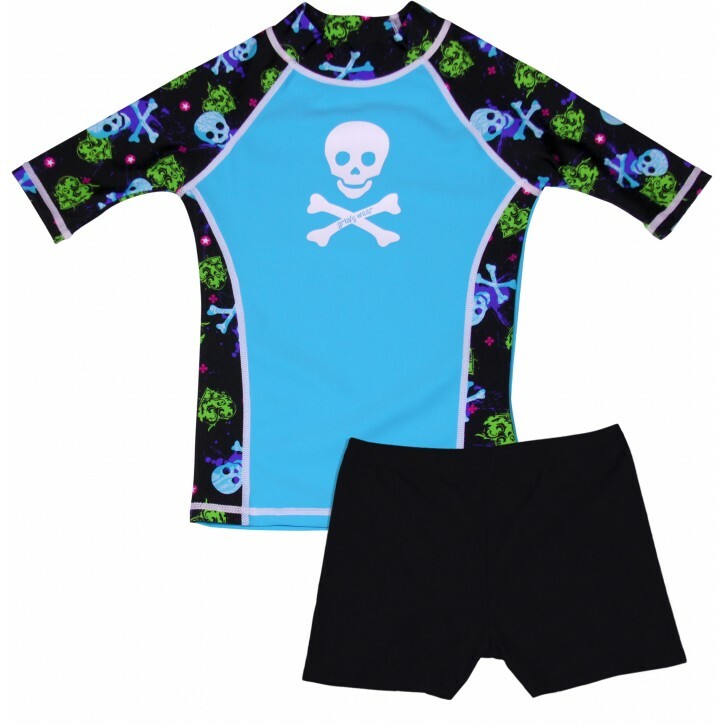 Comfortable, non binding, short shorts with 4-way stretch and elastic waistband make for a secure fit. Our lightweight, quick drying material with flat-lock stitching reduces rubbing and chafing to give her all day comfortable protection. Please consult the SIZING CHART.